The Gustavus men’s and women’s cross country teams reported back to St. Peter, Minn. to begin pre-season training for the upcoming 2011 season on Sunday, Aug. 21. Head Coach Dale Bahr, who enters his third season at the helm of the cross country programs, welcomed a total of 66 runners (33 male, 33 female) to campus for camp. The Gustavus Adolphus College Athletics Department has announced the 2010-11 Female and Male Athletes of the Year and they are Janey Helland, a track and field competitor from Mapleton, Minnesota and Whitaker Davis, a swimmer from Palatine, Illinois. A total of 25 volleyball players reported to campus on Friday, Aug. 19, as the Gustavus volleyball team begins preparations for the 2011 season. Head Coach Rachelle Dosch is excited about the energy level at practice in the early days of camp, as she has 12 returning letterwinners back this season. The Gusties will open the 2011 season at the Pike’s Peak Challenge hosted by Colorado College in Colorado Springs, Colo. on Sept. 2-3. 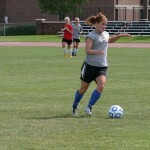 The Gustavus men's soccer team reported to campus on Thursday, August 18 ready to begin fall camp and the start of the 2011 season. Head Coach Mike Middleton had 43 players report for duty Thursday afternoon, 15 of which are returning letterwinners. The Gusties will open the season on Thursday, Sept. 1 with a match against Wartburg College at 4:00 p.m. on the Gustie Soccer Field in St. Peter, Minn. The Gustavus men’s and women’s swimming and diving team have been recognized as Scholar All-America Teams by the College Swimming Coaches Association of America (CSCAA). The Gustavus women’s tennis team was strongly represented by the Intercollegiate Tennis Association (ITA) as a part of its post-season academic awards. 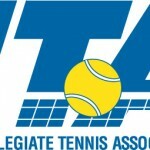 The 2011 Gusties earned ITA Team Academic honors,while nine individuals took home Scholar-Athlete distinction.